Marriage is a sacred and honored union that is created until death. However, marriage can be hard to navigate no matter how perfect the couple may seem to be. Loving your spouse unconditionally through every moment of every day is a tough task. We want the best for marriages; our own and the ones of those we love. 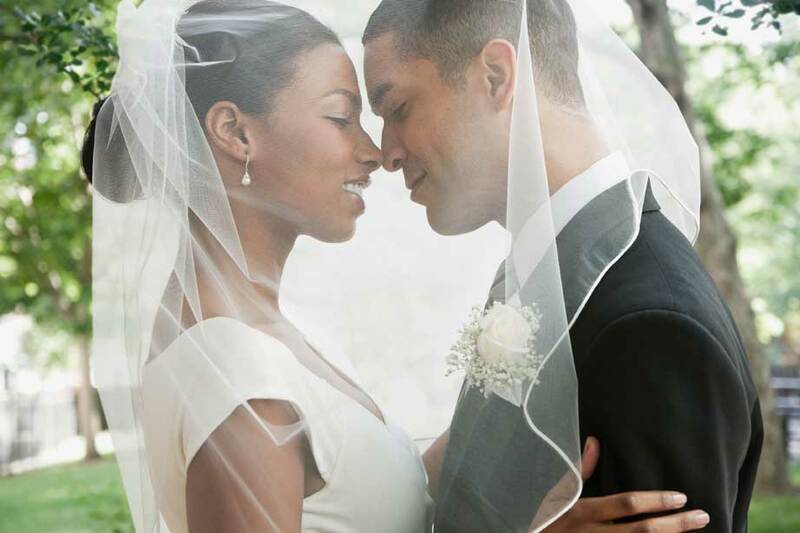 We wish for marriages to be filled with love, happiness, faithfulness and communication. We strive to illuminate God in our marriages and follow the Word. We try to love the way God loves us. When we’re having problems in our marriage, we must turn to God to ask for guidance and grace. It’s important that God is an active participant in our marriages. No matter what stage your marriage is in, God will guide you through it. Use these prayers to strengthen the bond between you and your spouse and also with God! You have knit us together very differently. The fibers of our temperament are vastly different, yet You brought us together to complement one another, to be strong in the other’s weakness. How vast is Your wisdom! Thank you! Still, we need Your help to understand one another, to appreciate our differences, and to honor each other’s perspectives even when they are different from our own. So we receive the understanding that Your Spirit has to offer. We commit ourselves to study each other’s temperaments, love languages, passions, and traits. To become experts in each other so that we can love one another more deeply. Thank you, Lord. I pray today for all those struggling with painful marriage conflicts. I pray for those battling anger and those suffering abuse from an angry spouse. I pray today for those battling anger within them. I ask that You will show them simple, straightforward and productive alternatives to express these emotions. I pray that they will have wisdom to manage their diets, the discipline to exercise their bodies, and insight to modify their work/rest patterns, and the prudence to organize their time, space, finances and relationship priorities. God, work in the nuts and bolts of troubled marriages. Do miracles, but begin the miracle work in the simple and down to earth elements of these relationships. We pray for healthy marriages in Jesus’ name, Amen! Thank you for changing my critical heart. Thank you for forgiving me and transforming me into a supportive wife. Thank you for giving me eyes to see all the great qualities in this husband of mine. Sure, he’s not perfect, (nor am I) but we are growing and my love and support for him only speeds that process along. How grateful I am to You, loving Father, for giving me my man! What a joy this covenant is becoming. Bless him today with everything he needs for life and godliness. Grant him these blessings (from Isaiah 11): wisdom, understanding, counsel, might, knowledge, and the fear of the Lord. In Jesus’ mighty and loving name, Amen! I need Your love for my spouse. Mine has come up short again, so I come to You, the fountain of all love. I receive your everlasting love. Give me Your eyes, Your perspective, and, most of all, Your love for my beloved. I strive to learn from you Lord. Teach me how to love unconditionally and without wavering doubt. I look forward to strengthening my love and bond with my spouse, and know that with You anything is possible for our marriage! Increase my love for my spouse so that I can better show them that they are cared for. I receive it now in faith. Amen. I can’t seem to love my spouse like You have asked me to love. Please grant me a greater capacity to love by infusing my spirit with the knowledge of Your great love for me – unconditional, free, and never ending! May I experience the love of Christ, though it is too great to understand fully. I’ll make that my starting place. I receive your love as I receive anything from You – with my faith. I believe that You exist and that You reward those who diligently seek You. I am seeking You, and I receive Your reward – Your amazing love for me, Your child. Let me take this amazing love You give to me and share it with my spouse. Teach me how to love them the way that You do! Unconditional and strong, I know a love like Yours will build a beautiful foundation for our marriage. Your love for your spouse will grow and flourish if you accept God into your marriage. No matter where your marriage is – happy newlyweds, strained due to negativity, or flat – God will be there to help and lift your marriage up. Increase the love you have for one another by using these prayers.